Business Partnerships: Can a Spouse Take Over Shares? Owning a business is full of challenges; in fact, there may be days when you wish you had never come up with that original mind-blowing idea that set you in motion for working long days and nights, expending all that proverbial blood, sweat, and tears, and often feeling like more time is spent at the office with employees and those engaged in business partnerships than at home with your family. The irony is that while you are busy trying to make a living and sock away the dough for your family, you are forced to leave them for long periods of time. That doesn’t mean you forget about them though—and on the contrary, as family is first in the mind for most of us all day. While it is important to make sure your family is covered in your will and all estate planning, this could play a part in your business partnership also. This critical contract should cover a long list of items to foresee that everyone is protected, beginning with items like who the officers and shareholders are, and what titles they hold in the business, if any. General job duties and pay should be outlined, along with discussion of other financial issues such as when profits are distributed each year. What happens, however, if you or another partner were to die? Who gets your shares in the business? This should be established when you are forming the partnership contract, as there may be some discussion regarding how you want to structure it. You may want to consider whether you would want the right of refusal to buy the other partner’s shares should they die or want to leave or discuss the best structure if you do want to leave your shares to a surviving spouse, other family member, or outside party. If this is not agreed upon by all in the contract, it is usually not possible, by law, for a third party to be ‘substituted’ for a family member or other partner. Speak with your business attorney about creating an airtight partnership contract. This is key in the beginning, and especially when everyone is getting along. A dispute resolution clause should be included also, establishing what type of resolution all parties would turn to in the case of a legal issues, whether that would be litigation, mediation, or arbitration. Details such as what county the resolution would take place in and who would pay attorney’s fees are usually included too. Business partners can offer the best and the worst when it comes to sharing a business, which is why you should always have a business partner agreement. In the beginning, it can be enormously helpful to have a partner in crime, someone to brainstorm with, and a likeminded soul to open a new company with. This allows you to share financial burdens, which can be considerable not only in the beginning but can also continue throughout the life of your business as you must keep up requirements in maintaining capital. A business partner can handle a large portion of the workload along with you, and help you not only decide how to run the business but move forward in hiring employees, independent contractors, establish intellectual property, and more. Just as you should have structure within your company though, you should have structure in your business partnership. This all begins with the partnership contract. And while you may have known this partner for many years—most of your life even—it can be extremely valuable to have everything in writing, comprehensively. 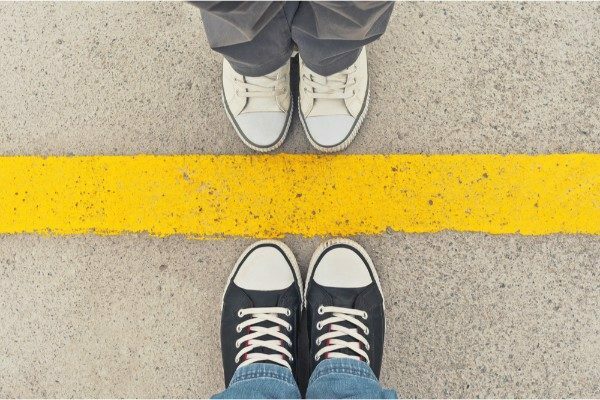 Like any other relationship, the partnership should have boundaries, beginning with titles that outline roles; for instance, you may be the CEO and in charge of all the major decision making while partners will operate in other upper management capacities. Establish percentages that each partner has in the company, and delineate job duties also, although they may continue to be fluid over the years. Difficult decisions for the future can already be put into place with the business contract too. What happens if one partner dies? What if a partner wants to move on to other interests and sell their shares? Speak with your business attorney about outlining how all these issues should be dealt with so you don’t end up with a new partner you didn’t plan on later or lose out on having first right of refusal to buy your partner out. Include a dispute resolution clause too, outlining how any legal issues should be resolved, whether in litigation, mediation, or arbitration. It is also typical to decide where such action would take place and who would pay attorney’s fees. 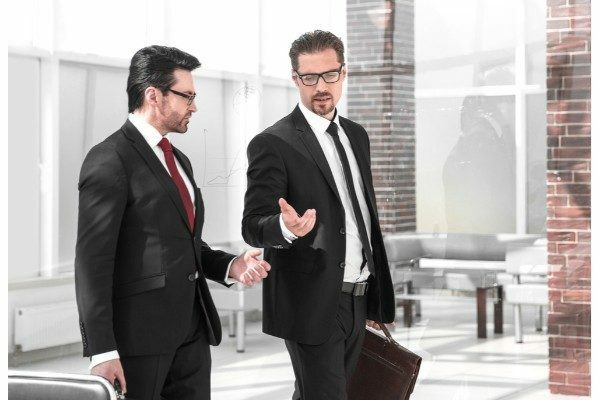 Are Differing Management Styles Wrecking Your Business Partnership? A business partnership may be one of the most important relationships you have in life, and it helps if your management styles are in sync. From the beginning, one or more other individuals may be part of that spark, that inspiration, and the business model that leads to founding a new company, along with changing your life forever. And while much of your enthusiasm and continued involvement in a business will be based on success as the years go on, it is vital to put just as strong a foundation under your partnerships as you do your company overall. 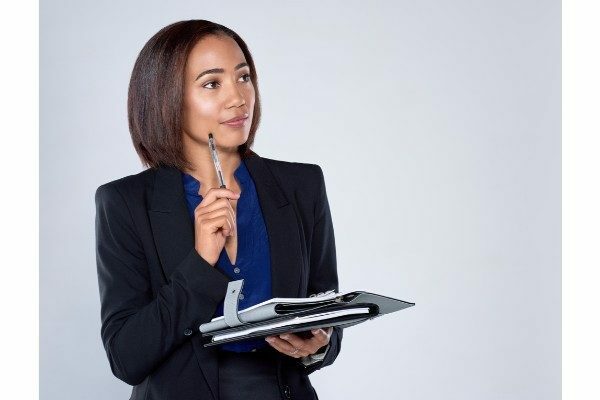 Your personality will have a lot of bearing on your style at work, whether you are operating as the CEO, upper or middle management, or working in a creative or technical capacity. You may have a tendency to be a more autocratic leader, while one of more of your partners prefer to consult with employees routinely about matters, offering a more democratic atmosphere at work, as well as mentoring those you work with, coaching them along in their career and taking joy in watching them grow as individuals—benefiting your company in turn as they are a happy and valuable part of your team. Conflicting management skills can be the precursor to dissolution of or the diminishing of a partnership, much like that of a typical family dynamic. Along with that, managing of finances in the business, clients, marketing strategies, and so much more requires fluid teamwork and partnership. Without positive support from your main people, your business may flounder—and fast. All these issues can begin eroding your work life and continue to cause negative repercussions, which is why it is critical to head off such problems initially with the business partnership. By outlining your specific titles and roles, you know what is expected of you within the company, as well as what you will be paid, when and how profits are distributed, and what happens in the case of a dissolution; more importantly, there should be a dispute resolution clause written into your contract, detailing how any legal disputes would be handled, where, and who would pay for attorney’s fees. Do you have questions about a business issue, or do you need legal assistance regarding a business dispute? If so, contact the Bolender Law Firm. Our attorneys are experienced in representing clients in state and federal courts, at both the trial and appellate level. Call us at 310-320-0725 now or submit an easy consultation request online. We are here to help! No matter how long you have been in business, you are probably very aware of issues regarding mixing your personal and business life, as well as co-mingling funds. Financial accounts must be independent of one another, insurance is different, and while some may work from home, the office is usually separate too. Like many entrepreneurs, your business probably started out as a dream, developed into a concept, and then you were driven to do the hard work it took to make it into a reality. And while a positive attitude is key to success in business, there is no turning a blind eye to the fact that many endeavors do fail, and you must protect your personal finances. While ‘piercing the corporate veil’ may sound like a dramatic and mysterious term, what it really means is that the court has lifted any corporate protection (the veil, previously) and is holding the shareholders of a business personally liable. As a business owner, you may wonder what the point is in separating business from personal if you can be held liable for a commercial downfall and potentially be sent down by the courts on a sinking ship—putting your family in financial peril too. Consult with a skilled business litigation lawyer from Bolender Law Firm to examine your options. This type of legal action is not taken lightly whatsoever, and there must be evidence of piercing the corporate veil. If some required duties are neglected, this could be what causes the court to hold you and any shareholders responsible for business debts. This may occur during a bankruptcy or when creditors/plaintiffs are attempting to collect from a business that may have been founded for the sole purpose of escaping financial or other responsibility. Irresponsibility on the part of the business could be brought into question regarding issues such as not taking care of corporate administrative duties (even such tasks as not taking minutes), lack of capital contributed to sustain a corporation or negligence in issuing stock, the creation of a corporation for illegal activities, or other fraudulent reasons. Debt collections are commonly at stake in such issues, with judges examining whether creditors truly need to see the veil pierced for fair treatment. There may have been a lightbulb moment when you—and perhaps with a partner or two also—came up with a breathtaking idea, an invention that you knew would be in great demand later if you could just turn it into reality and become business owners or managing partners. Along with the latitude to work on and build your own business model, being your own boss means setting your own hours, making your own decisions, and being in much greater control of your life and its direction. Hopefully, there is the potential for making a good living, as well as the possibility for helping other people in your community or maybe even around the world. There are numerous downsides to owning a company too, from typical daily stressors like managing a team to figuring out how to keep cash flow running properly. 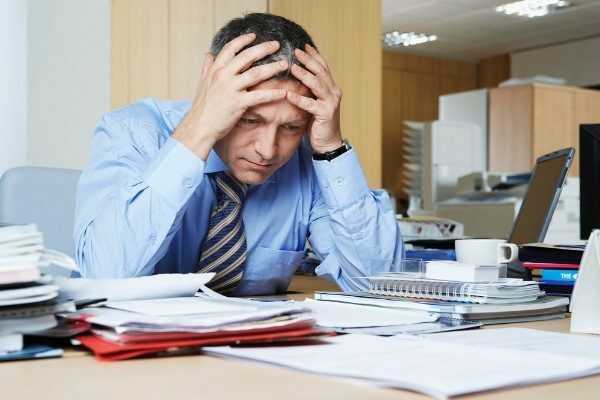 There are a variety of different little headaches in between also, and many of them relate to corporate administrative tasks. While they may seem like the easiest to procrastinate on, they can multiply out of control before you realize it. If you do not have someone handling these tasks for you, or if they need to be delegated, do so as quickly as possible. Scheduling corporate meetings, keeping up with all the records, and tending to the minutes is a perfect example. Keeping of the minutes is required for tax purposes and by federal law, and in most cases if you are the head of a traditional corporation or are the managing partner of another type of formal business entity (depending on state law), notes must be taken during at least one meeting per year. Keeping the minutes for your company may be as simple or as complicated as you deem necessary, with notes usually expected too from meetings between shareholders, activities such as hiring new employees and giving them raises, bringing in new officers, and financial events like taking out loans or opening new accounts. All in attendance during such meetings or events should be noted, with the minutes kept in a secure location with the rest of your corporation’s important paperwork. 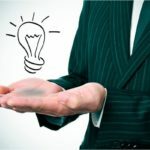 If you are a business owner in the US, then you probably understand what a double-edged sword such a venture can be–and one that may sometimes lead you into business disputes. The initial idea of controlling your own fate and your own career, making your own schedule, and reaping the financial rewards of your hard work and success can all be enticing; however, there are also many responsibilities to handle that can be extremely stressful—especially in the first years. The greatest anxiety may be over money and making sure you have enough capital to keep going, but equal to that is the challenge of keeping the customers coming through the door in what may be a very competitive marketplace. Because you may be dealing with so many different entities, there is the chance for a business dispute or lawsuit to arise at some point. While you could be forced to face a liability issue due to an incident like a customer slipping and falling or becoming harmed due to a product you prepare or sell, there could also be a problem with a business peer. This could also be a business partner. And although you may be tempted to head to court or throw in the towel regarding what could be a relationship of many years, consult with your business attorney about the best course of action. You may also be forced to deal with a wide range of employee issues over the years. 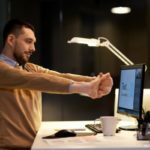 By educating yourself and your human resources department as much as possible, you should be able to ward off problems before they occur, from payroll or overtime issues to sexual harassment or discrimination in the workplace. Many business disputes arise with vendors too; for example, if you own a restaurant, you may have very close dealings and even personal working relationships with food vendors. These are people you probably talk to several times a week and when something goes wrong or there is an accounting discrepancy, tensions can run high—especially when everyone is working in a fast-paced industry known for causing stress. Tempers can flare, and conflicts can escalate beyond what you may ever have imagined. It is important however, to take a step back and consider the future of your business before ending a relationship that you may struggle without later. Your attorney may suggest mediation, as it offers a more casual atmosphere for resolving legal issues. This form of alternative dispute resolution is more affordable and usually faster too. The Bolender Law Firm can assist you in all business litigation matters. Call us at 310-320-0725 now or submit an easy consultation request online. We are here to help! As a business owner, you take on a multitude of responsibilities that may not have been part of the original starry-eyed dream; in fact, the world of commerce continues to become more complicated as human resources issues grow around the US, tax laws are ever changing, the economy is unpredictable, and the marketplace is fiercely competitive for most industries today. But what about issues within your own business foundation, such as partnerships? Whether you own equal parts of the company or you control most of it, solid business contracts should be created in the beginning. The beginnings of any startup can be both an extremely stressful but forward-thinking time. Full of excitement and positivity for most, if you are working with one or more partners, it is probably like the honeymoon phase of a marriage in some ways. You can’t imagine ever dissolving your business relationship; after all, you are in it together. And partnerships in business do offer a wide range of benefits. You can share duties, share the stress, create products and services together, watch your company grow (not unlike a family), offset financial burdens as you work together in providing capital to the company, and set goals for the future. While the going is good, however, get that partnership contract in place, and cover all the bases—even if some of them may be uncomfortable in discussing what could happen in the future. The partnership agreement should outline the typical basic structure such as who is involved and who will do what. Titles should be agreed on and included in the agreement, as well as payment and profit-disbursement structures. Even more importantly, there should be a concrete dispute resolution clause—and creating this while everyone is on good terms can be vital to the success of your business should there be a major falling out or even a lawsuit later. This allows you to discuss how a dispute would be handled, where, and even who would pay attorney’s fees. Along those lines, there should also be comprehensive clauses covering what happens in the case of dissolution and/or a buyout. Will you want the right to buy out the partner’s shares? Will they be able to hand down their shares to family members or others outside the organization? Just as the partnership felt like a new marriage in the beginning, dissolving or completing a buyout may feel strangely like a divorce. And you must work just as hard to protect your assets! Along with having the business assessed properly for valuation, there will be significant paperwork to be handled by your business attorney. Keeping the situation as civil as possible can be key to everyone parting ways with success, and your lawyer acting as the negotiating party could be a vital part of this action. The key is to hedge your bets in the beginning and uphold your partnership contract to the end. The Bolender Law Firm will advocate on behalf of clients through litigation, arbitration, or non-binding mediation. Our attorneys are experienced in representing clients in state and federal courts, at both the trial and appellate level. Call us at 310-320-0725 now or submit an easy consultation request online. We are here to help! There are so many elements to running a business, and if you are operating a new start-up or running a business by yourself, several priorities take precedent over everything else in the beginning. You must have a place to operate your business and getting this squared away can be full-time for a while, whether you are buying or renting; either way, you must deal with real estate or leasing agents, finances, contracts, and make some big decisions. A business model must already be in place too—and it may be requested by either the bank or a potential landlord as they seek assurance that you will be able to pay your bills. Most importantly, you must have capital to get the ball rolling—and keep it rolling! This will pave the way for success and allow you to hire a team and purchase inventory and keep doing so. 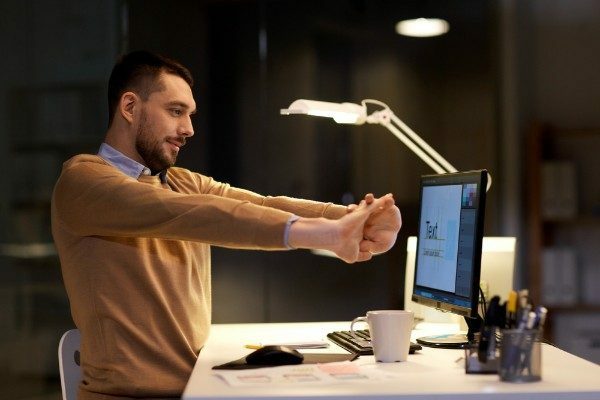 Once you have the essentials lined up, everything else will fall into place—to include advertising, marketing, and setting goals for your employees. Whether you have a full-time team in place or are working with independent contractors—or a mixture thereof—projects will be on-going and creating intellectual property will be important as you go on. 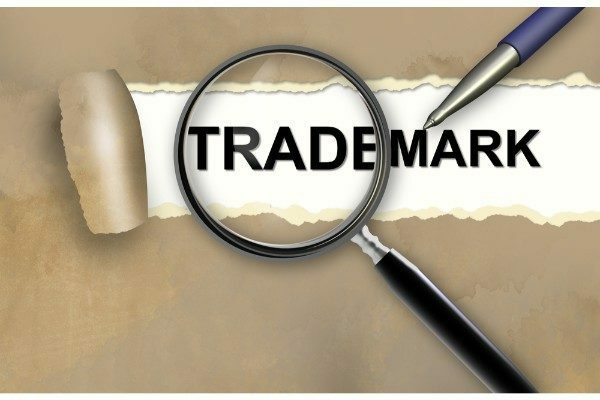 Items such as the trademark may be vital to your business early on, however, as they give the public a way to familiarize themselves with your brand and may even invoke a certain emotion in customers when they see your logo or symbol. And while this may just be a simple idea in the beginning as your brand is born, be aware that your intellectual property can be extremely valuable later—which is why you should protect your trademark by registering it with the United States Patent and Trademark Office from the beginning, even if it is somewhat protected by common law from the moment you create it. A trademark can be extremely beneficial to your business, and it is also long-lasting if you keep up with renewals. Starting out, this intellectual property protection is good for ten years, and then as long as you keep up with the required paperwork and keep renewing it, your trademark is protected indefinitely in ten-year stretches. If you fail to meet the renewal dates, it will be canceled by the USPTO. In business dealings, three words are key: Get it in writing. 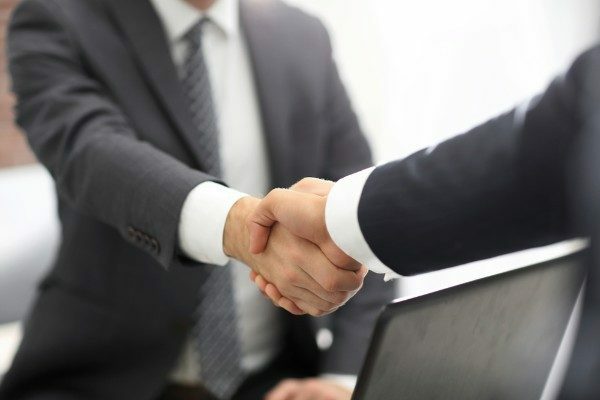 Even though a handshake and a verbal agreement may seem like enough—and even though you may have heard that contracts are just made to be broken, you have a much greater chance for gaining legal recourse with a signed and notarized business agreement fully outlining the details of a transaction or ongoing relationship. 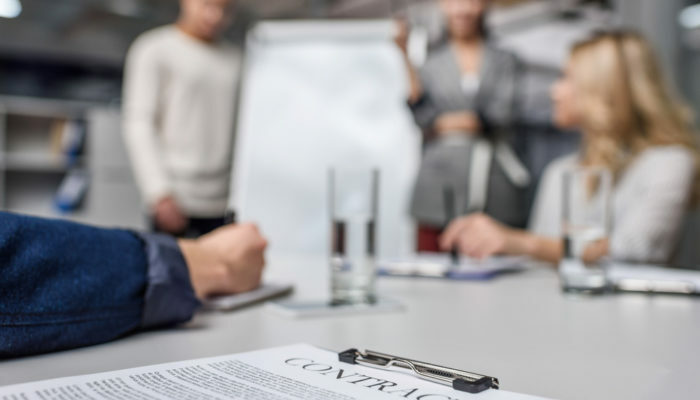 And although an airtight business contract may be what allows you to win in court should litigation be necessary, it may also be what prevents a court case from developing to begin with. List all the individuals and companies involved in the agreement. Use language that is clear, so everyone is in complete understanding of all the details. While every contract is prone to having some legalese, the agreement should be easy to read, with all parties involved comfortable in making necessary changes before signing. Outline terms of the contract, and goods and services being offered, in as much detail as possible. Any necessary timeframes should be written into the agreement (especially if this is a finite deal with a beginning and ending date), along with the payment schedule. If there are grace periods for payments or penalties for late pays, make sure that is all explained in detail as well. Create a dispute resolution clause. While this may seem unnecessary in the beginning—and especially if you are working with someone you have known for a while—creating a dispute resolution plan is much easier to do while everyone is still getting along! 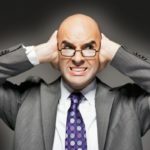 Deciding ahead of time how a dispute would be handled allows you to designate what type of setting you want any issues decided in, whether in court with litigation or a more casual setting in mediation or arbitration. Typically, location is included too, stating which county (or courthouse) the dispute would be settled in, as well as who would pay legal fees. Creating a good working relationship with a business attorney as soon as you begin setting up the structure of your business can be vital to your success as you make decisions regarding what type of corporation or partnership you want to set up, begin hiring employees and contractors, protecting intellectual property, and more.